1)Granite countertops,vanity tops,kitchen countertop,table top,island top,worktop,cooktop, kitchen vanity top,wet bar tops,wall vanitytop,shower wall panels,wet bar tops,desk tops, threshold, window sill.Our granite marble counter top are high in quality and most competitve price.The edges of countertops can be 4cm laminated edges such as laminated bullnose countertops, laminated full bull nose,laminated dupont,laminated ogee,laminated eased & polished.And thickness 2cm or 3cm for tops.Vanity tops edges include full bullnose, eased & polished,half bullnosed, ogee, dupont, rock face, waterfall, Radius top/bottom, bevel, others side edges are available. All the granite marble color, size, edges of the tops as clients drawing requirements. We fabricate countertops with width size such as 25", 25 1/2",26",36" etc. Sink cut out,side splash,backsplash,apron, toilet tissue hole cut out and facial tissue cut out as requirements. We aslo supply kitchen undermunt Sink made of 18 Gauge 304 stainless steel sink,single bowl,double bowls are supplied. We fabricate kitchen sink cut out through our offered sink template. 2)Granite Marble Vanity Tops,Kitchen Vanity tops,Corner tops,Marble Vanity Tops,Typical Bowed Vanity tops,Typical Wall Vanity tops width: 22",23",23 3/4",24". Edges Process:bullnose, bevel, raduis, ogee, eased & podished. We supply undermount ceramic sinks,white ceramic sinks, bone ceramic sinks,grey ceramic sinks, bathroom sink,vessel sinks,stone sink, granite, marble, sink, bowl,basin matching with granite vanity top. Wooden,cabinet material include oak maple charry can be as choice. 3)Granite Marble Tiles.We are fabricator and exporter of polished,honed, flamed ,tumbled, pitched,bush-hammered, polished,granite,marble,granite flooring tile, granite wall cladding, granite cut to size tile,granite cut to size slabs.Granite tile size 12"x12",16"x16",18"x18",12"x24",24"x24".Thickness: 3/8", 1/2", 9/16", 5/8", 3/4", 1-1/4" etc. 4)Marble Laminated Ceramic Tiles,2-5mm marble sheet laminate with 9mm ceramic tiles.The tiles size can be as 12"x12",16"x16",18"x18",24"x24". 5)Granite Slabs size,2400cm upx1200cm upx20/30mm,the cut to slabs size with size 250x70 x2cm, 260x70 x2cm, 270x70 x2cm, 280x70 x2cm,260cm upx70cmx2cm,260cm upx 70cm upx2cm,260 upx80 upx3cm etc.The surface can be polished or flamed processing. China have thousands colors of granite,a main granite resource of world.Most from Fujian, Sichuan, Shandong, Hebei, Mogolia, Xinjiang, Jiangxi, Guangdong, Guangxi,Shanxi province of China. Popular granite include Absolute Black, Sage Green, Mongolia Black, Shanxi Black, China Black,Maple Red, Butterfly Green, HuiDong Red, Huian White, China Brown , Oasis Blue, JiangXi Green, PanXi Blue, Wave White, Xili Red, Tianshan Red, Guilin Red, Tiger Skin White, Tiger Skin Red, Tiger Skin Rust, Tiger skin yellow,Sage Green,Zhangpu rust, Chrysanthemum Yellow, Peacock Green, Leopard Skin, Moss Green, Mountain White, Snow Grey ,Peach Rose , Anxi Red, Beige Rose ,Salt &Pepper,G379 , G601, G602 ,G603, G606, G608, G611 , G612, G614, G617, G623, G633, G635, G636, G639, G640, G648 , G654 , G655 , G656, G657, G663 , G664, G513 , G681,G687, G696 , China Green, Bainbrook Brown, Bainbrook Peach, Almond Cream, Chengde Green, Beige Cream, G682, Golden Yellow, Tan Brown, Gold Coast, Baltic Brown, Blue Pearl, Carioca Gold, Kashmir White, Kashmir Gold, Giallo Fiorito, Tropical Brown, Uba Tuba, China Butterfly Green, Carmen Red , African Red, Black Galaxy, Orion Blue, Bethel White, Raw silk, Brown Pearl, Emerald Pearl, Giallo Antico, White Galaxy, Saint Luis, Paradiso, Giallo SF real, Samoa, Rosa Fantasy, Rosa Fantasy Granite. Yasta stone supply marble from China and world.Our marble products include marble tiles,countertops, vanity tops, marble flooring tiles, slabs, marble faucets, fireplace, marble sinks, bowls, basin, marble laminated flooring, marble laminated ceramic tiles, marble laminated granite flooring tile, marble laminated glass tile, marble laminated aluminium plastic flooring, thresholds, tumbled marble tiles. We supply more than fifty colors marble from China, Iran, Norway, Egypty, Spanish etc. 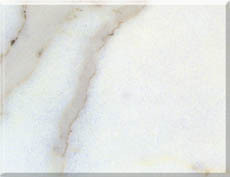 Include white color, black color marble, green marble, beige colors, yellow colors, grey colors, etc.White colors marble include China white marble, Bianco Botticino , Bianco Carrara Venato Arabescato Faniello, Golden Spider Marble, Ariston , Arabescato Big Flower White Marble, Statuario Marble, Crystal White Marble. Black colors marble include Nero Margiua Marble, Emperador Dark, Portoro .Coffee colors marble include Jinqian Flower Marble, White Crabapple, Emperador Light , Red Whorl Beige , Yixing Coffee Marble.Red colors marble include Red Butter Marble, Agate Jade , Tea Rose Filipine, Norweigian Rose , Rosso Verona Marble.Yellow colors marble include Golden Year Marble, Sunset Red, Songxiang Yellow Marble, Portoro Marble, Century Beige, Egyptian Yellow Marble, Bianco Perlino, Sahala Beige, Shell Beige, Botticino Classico Marble, Royal Botticino, Galala Beige, Sunny Yellow Marble. Green colors marble include Dragon Painting Marble, Seven Colored Jade , Green Red Milk Marble,G4280, Five Colored Jade Marble, New Sunset Red , Green Onyx e.Pink colors marble include Tea Rose Filipine.Grey colors marble include Hang Grey. Purple colors mable include Rojo Alicante, Rosso Levanto . We supply granite slab,marble slab from China,India,Brazil,Iran,Norway,Spanish,South africa etc.We supply more than one hundreds colors granite slabs. Absolute Black, Mogolia black, China black, Black galaxy, Tan Brown, Maple Leaf Red slabs, Ivory Indian, Multicolor Red, White Galaxy, Tropical Green, Saphire Brown, Mardura Gold, India Blue slabs,Chengde green, India Red, Kashmir Gold, Kashmir White , Black Pearl, Juparana Colombo, Bahama Blue, Antico Brown, Parodiso, Parodiso Green, San Francisco, China green, Café Imperial, Giallo Cecilia, Rose White, Yellow Butterfly, Giallo Antico Slabs, Carioco Gold, Blue Eye, New Giallo Veneziano, Giallo San Francisco, Juparana Classico, Giallo Oranmental, Giallo Fiorito, Verde Butterfly, Brazil Gold, Giallo Santa Cecilia , Verde Ubatuba, Colonial Brazil, Tiger skin yellow, Veneziano gold slabs, Peecock green, Samoa, Golden King, Imperial brown, Calefornia gold, Brazil White, Mahogany Dakota, Pink Porrino, Dream Red, Blue Pearl, Emerald Pearl, Labrador Antico , Tropical Brown, Golden leaf, Green Marinace, Carmen Red, Baltic Brown, Caledonia, Saigon Huang, Salisburg Pink, Gardenia White, Bethel White, Nero Belfast, Xili Red, Huidong Red, Wave White, Big flower white, G603, G681 slabs, G682,G635, G623,G648, G654, G655, G657, G664, G684, G687, G696,China green, Chengde green ,Jiangxi green . The max size of granite slab or marble slab is beyond the colors you choosed,some of materials such as China black,chrysanthemum yellow have no big slab. From our caving granite marble factory,we have a lot of beautiful sinks include stone sinks,Granite Pedestal,marble sinks,Marble Pedestal,Granite Sinks,Granite basin,granite bowls,marble sinks, marble basin, marble bowls,slate sinks,sandstone sinks,with artical seening that is now widely use in office,hote,bathroom,It can be customized.Give us your designed chart(with dimension and the marble chosed). We have basin ,sink,bowl with white, black, yellow, beige, red,brown, green. blue colors granite and marble from China, India, Brazil, Iran, Spanish, Egypt, Turkey,Italy,USA,South Africa etc.Also our products is high in quality and low in price.Now we have export more and more of stone sink to USA,Spanish,UK,French,Turkey,Australia etc. 1)Size;430x430x153mm, 450mm x 450mm x 150mm and other dimension,all of shape can be made. 3)Shapes available: round, square, oval and rectangle with or without rims. 4)Colors:Chinese granite,Chinese marble,world granite, world marble materials are available. China is rich in Slate colors,yellow slate or yellow rust slate is popular,The vein changed strange but nature strange.We also fabricate white slate color for wall cladding.It is look like Our slate products include chinese slate, slate tiles, culture slate, slate plate, food slate plate,mesh slate tile, mosaic slate, roofing slate, mushroom slate, slate flooring and walling cladding slate, roofing slate, roofing,wall slate,wall cladding slate,nature finished wall slate,honed wall slate,slate for food put,slate plate, slate cut to size,salte paving,honed slate,tumbled slate,mushroom slate,roof slate,slate paving(the thickness can be as requirement),polished slate.They are widely used in public buildings, villas courtyards, gardens and in decoration.We supply and export many colors slate include black slate,rust slate,grey slate,red slate,pink slate,purple slate,green slate,dark green slate,white slate. Size and process finished as requirements. China Yasta Stone Company is a leading fabricate and export of Chinese slate.We have exported China slate to USA,Australia,Canada,German,Japan,Italia etc. We hope make business with you. China Yasta supply m arble mosaic Flooring,marble mosaic medallions,mosaic border,custom made mosaic,white marble flooring tile beige marble mosaic tiles,green marble mosaic tiles,granite mosaic flooring tiles,the materials can from China and World,Sizes such as 12"x12"x3/8" or custom size,thickness of granite marble mosaic according to requirements. We are also a professional slate mosaic fabricator,we can fabricatepatterns of slate mosaic as reqirements,the colors can be rust slate,yellow slate,black slate,green slate,grey slate,dark green slate,wooden color slate,white slate,purple slate etc. 1) Made of superior quality marble,granite,slate. 2) Superior craftwork, popular designs and best services. 3) Dimensions: as per customers' requirements. 4) Can be manufactured according to customers' designs. Stone faucet is made of natural beautiful stone such as onyx,granite,marble,sandstone. it full with artistical.The height of these stone faucet can be 18CM, 29CM, 31CM,34CM. You can chose granite and marble material to make ot faucets you like.The stone faucets is made of granite, marble,sandstone,slate ouside, inside the sandstone,slate,travertine,granite, marble,the faucets is made of copper. Make your bathroom,kitchen, bathoom use stone granite, marble, travertine, sandstone,slate faucets, it will become more attraction and natura.Absolute black, beige marble,white marble,yellow onyx is available for faucets. We are the first fabricator of there stone faucets in China, now our granite faucets,marble faucets,onxy faucets, sell around the world.Colors available for stone Bathroom Faucet,Stone Kitchen Faucet,Stone Bar Faucet include Absolute Black granite faucet,Yellow Onyx faucet,China White Marble faucets,Dark Green granite faucet,Wooden Yellow marble faucet, Emperador_Light faucet.Beige colors granite faucet,Red colors granite faucet,Yellow colors granite faucet,Rust colors granite faucet,black granite faucet,brown color granite faucet,green colors granite faucet,beige colors marble faucet,white marble colors faucet,black colors marble faucet, green colors marble faucet,green onyx faucet,red onyx faucet.All these colors granite,marble,slate,travertine is available. If you like stone faucets,and would like become a wholesaler in your country.Pls find us as your supplier.Our price of stone,granite,marble Only $30-$55/Pcs FOB Price Xiamen Port China. This price is most competitive.All of our stone faucet is 2 years quality guarantee. China Yasta Stone can supply you Ceramic sink,include above counter basin,undermount sink,down counter basin,Kitchen Counter Sinks,Kitchen Sinks,Stainless Steel Sinks,304 Kitchen Sink,Single Bowl Kitchen Sinks,Double Bowls Kitchen Sinks,Undermount Kitchen Sinks,20 Gauge Kitchen Sinks,18 Gauge Kitchen Sinks.The Materials of Kitchen Sink can be 304 .USA styles, European Styles,Australia Styles Kitchen Sinks,Bar Sinks are available.We also accept customize ktichen Stainless Steel Sinks from Customer.The size of basin sink can be 22" x 15" x 6", 26" x 20" x 8", 27" x 18" x 7", 23" x 18" x 7",18" x 15" x 7", 24" x 17" x 7", 22" x 14" x 7", 22" x 20" x8", 22" x 17" x 8" etc. Stainless steel sink can be single bowl,double bowl,triple bowl.And the thickness can be 0.9mm 1.0mm 1.2mm Polish:Satin/Deck polish, Bowl satin. We also supply stainless steel sink matching kitchen vanity tops,the kitchen sink cut out will make under the template.